Your pool deck is the backdrop for the entire poolscape. It sets the stage for the star of the show: the pool itself. Whether you want a clean and modern look, an intimate courtyard feel, or a beautiful natural environment, we can refresh, reinvent and resurface your deck. 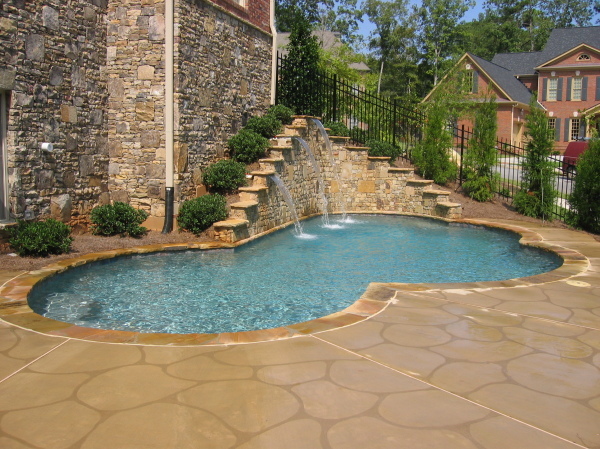 You can resurface it with Spray Deck, restain it with a rainbow of color choices, or replace it with pavers or stone. The possibilities are endless; the choice is yours. 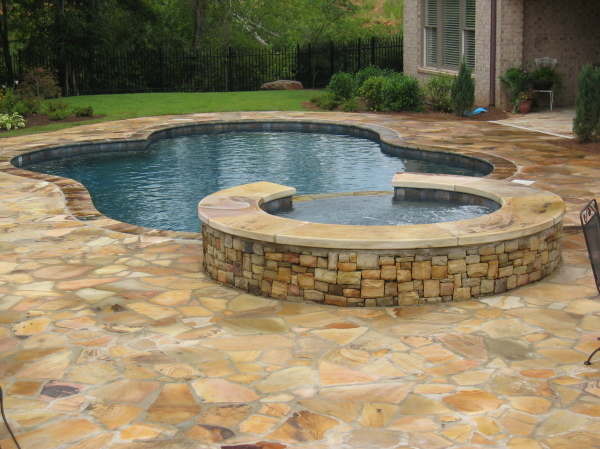 A wide variety of stone types are suitable for pool decks, including crab orchard stone, travertine, coral stone, limestone, or bluestone. 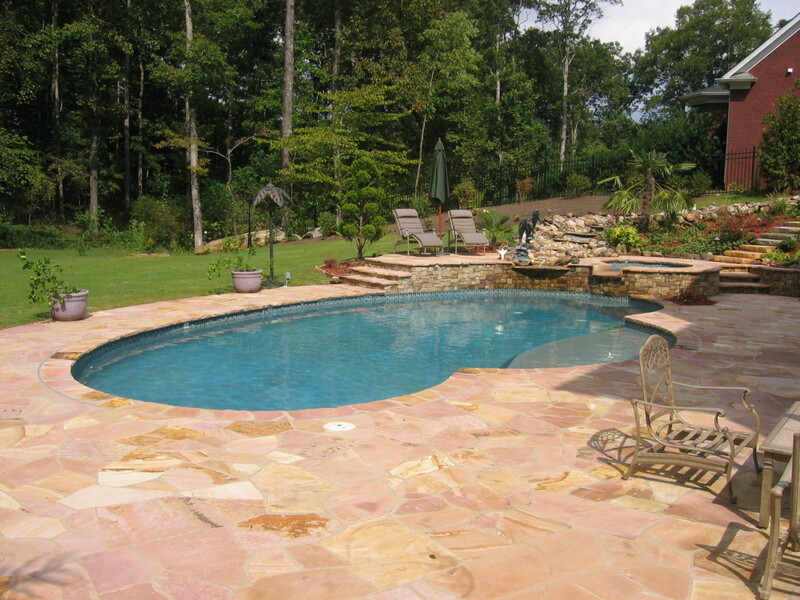 Brick or concrete pavers are also popular choices for pool surrounds. A less expensive alternative to replace a deteriorating deck is stamped concrete, which can be acid-stained to give it a beautiful color and texture. Spray-Deck is a decorative concrete overlay system which creates a durable long-lasting surface on a deck with minor deterioation. 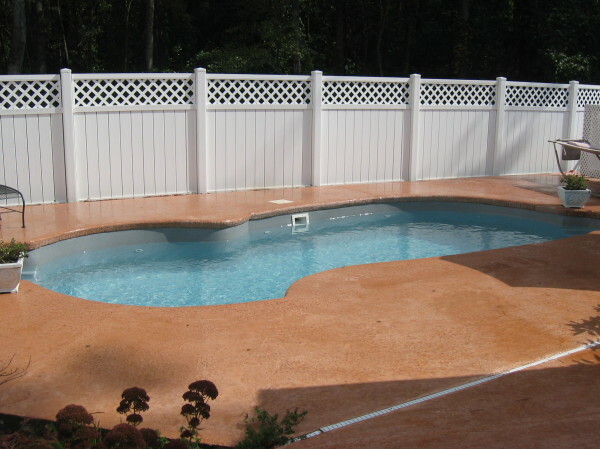 Spray-deck also renders the surface non-skid making it perfect for pool decks, patios, and high traffic areas. Whether you want to refresh the color you already have or change colors entirely, restaining your existing deck will breathe new life into it. A variety of colors are available from many manufacturers, including Behr and Sherwin-Williams.